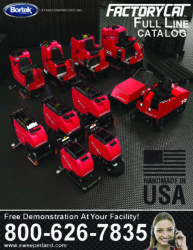 The Factory Cat Pilot-HD Floor Scrubber is well known for its simple design and durable construction, offering unmatched value for the customer. 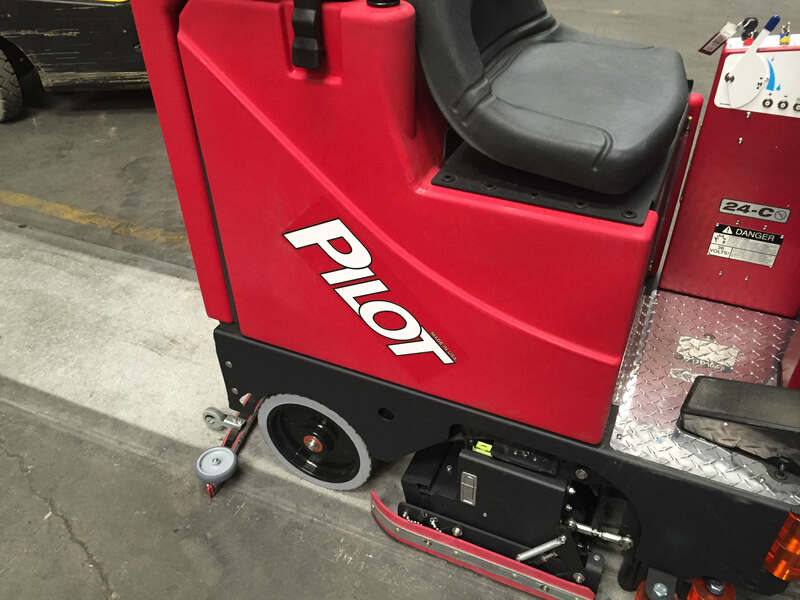 The PILOT-HD Rider Floor Scrubber comes equipped with a Traction drive which includes a powerful all-gear trans-axle for climbing ramps and max operator ease. 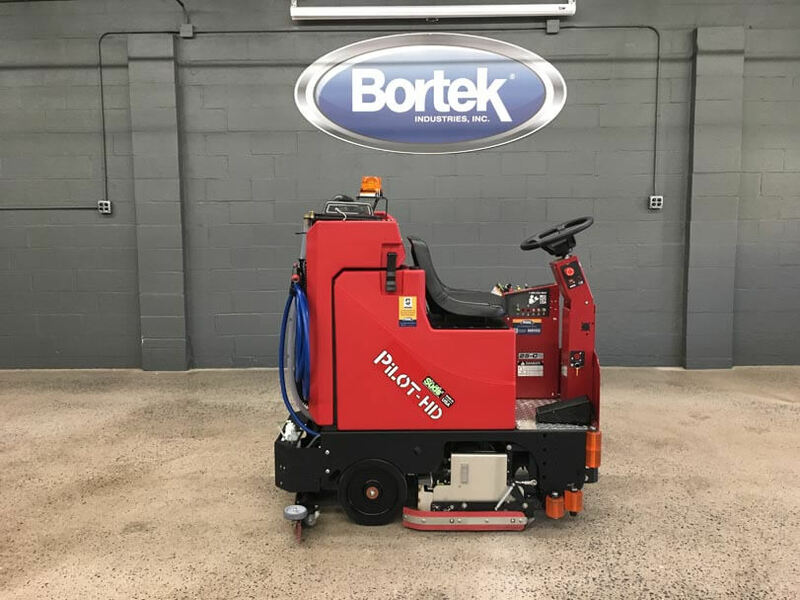 While keeping with the constant durability that Factory Cat machines have to offer, your operators will find the PILOT-HD Floor Scrubber Dryer easy to maneuver and simple to service. The deck is protected by steel guards and large polyurethane rollers to keep the unit from marking walls. 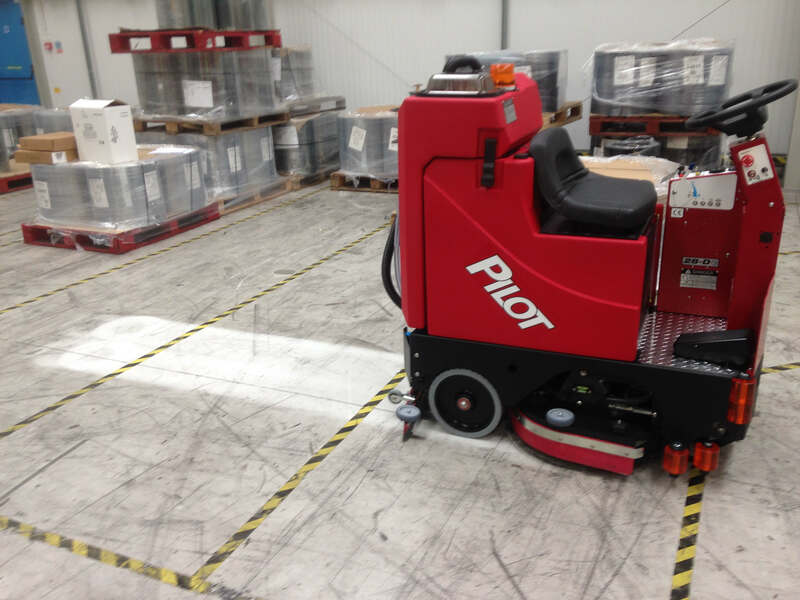 The PILOT-HD Scrubbers are available with Disk & Cylindrical scrub heads. 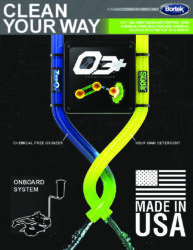 Tilt-Back recovery tank makes cleaning a breeze! Tool-Free removal of the cylindrical brushes ensure simple replacement! Easy access to interior components makes service easy! 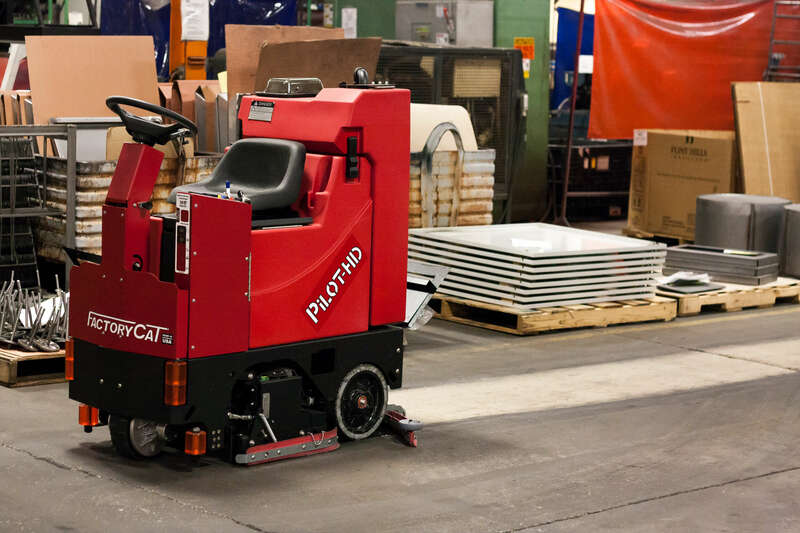 The Factory Cat Pilot-HD Floor Scrubber is well known for its simple design and durable construction, offering unmatched value for the customer. 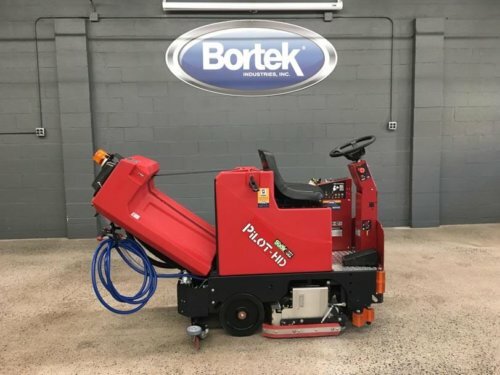 The PILOT-HD Rider Floor Scrubber comes equipped with a Traction drive which includes a powerful all-gear trans-axle for climbing ramps and max operator ease. 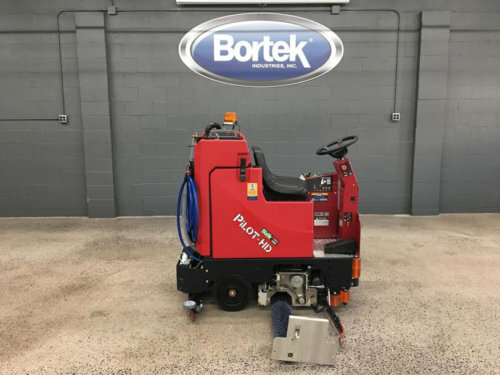 While keeping with the constant durability that Factory Cat machines have to offer, your operators will find the PILOT-HD Floor Scrubber Dryer easy to maneuver and simple to service. The deck is protected by steel guards and large polyurethane rollers to keep the unit from marking walls. 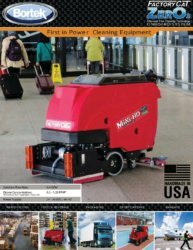 If you are looking for an economical cleaning solution, then the PowerBoss Admiral 28 is the answer. 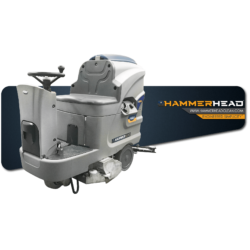 With an excellent performance to price ratio, the Admiral 28 increases cleaning productivity, saving you money. 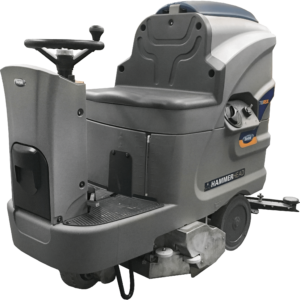 The compact size and turning radius of 66.5″ gives the Admiral 28 better maneuverability than many walk-behind scrubbers. 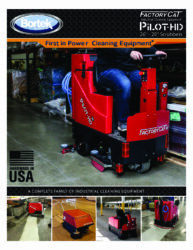 The rider scrubber also offers rear turning and special squeegee kinematics. 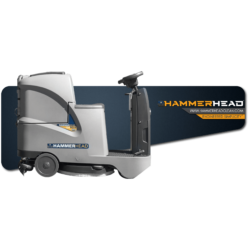 The HammerHead® 750RDX is the floor scrubbing machine that will leave your floors clean, dry, and sanitary. 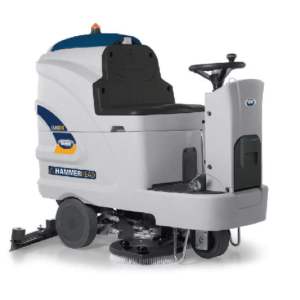 These rider scrubbers have disc brushes that scrub the floors with adjustable downward scrubbing pressure in order to achieve the absolute best power cleaning results. With our exclusive, dual-disc scrub brush cleaning system, you’ll use fewer resources and achieve a deeper clean than ever before. Better scrubbing power, less effort. 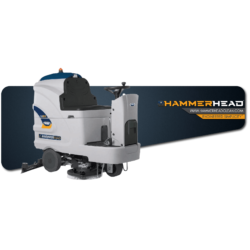 Quickly achieve clean, dry and sanitary floors with the Hammerhead 700RSX rider sweeper/scrubber and its 28 inch sweeping/scrubbing path. 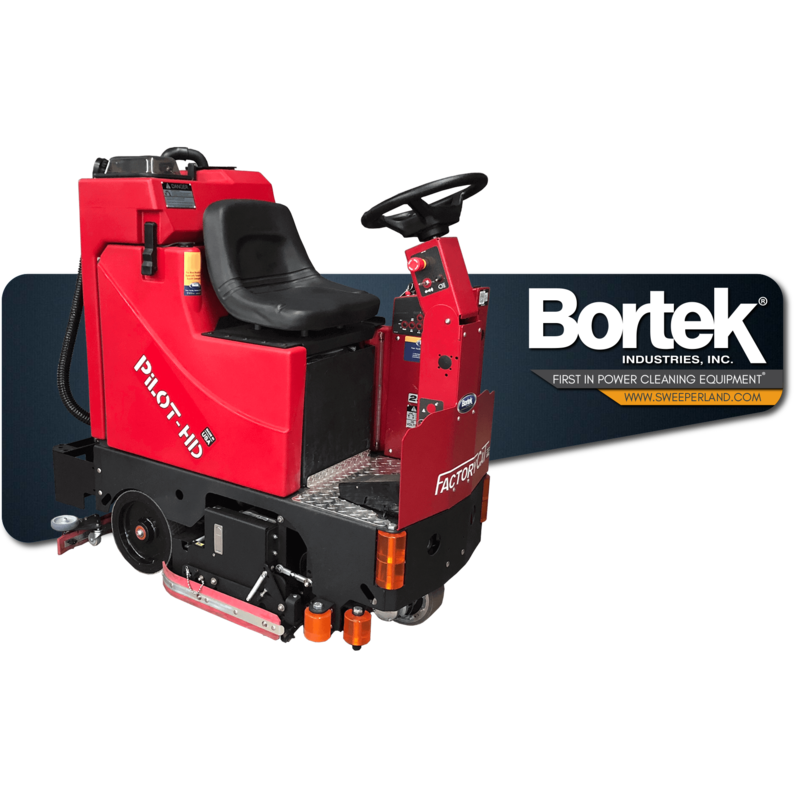 An innovative system allows the machine to sweep up larger debris, such as bolts, pallet chips, broken glass, nuts into a stainless steel debris hopper. 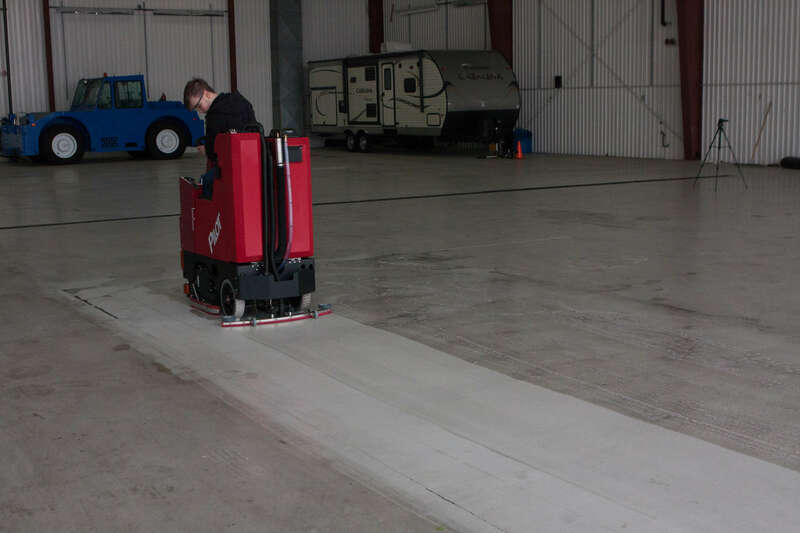 This eliminates the need for prepping the surface by vacuuming or manually sweeping. 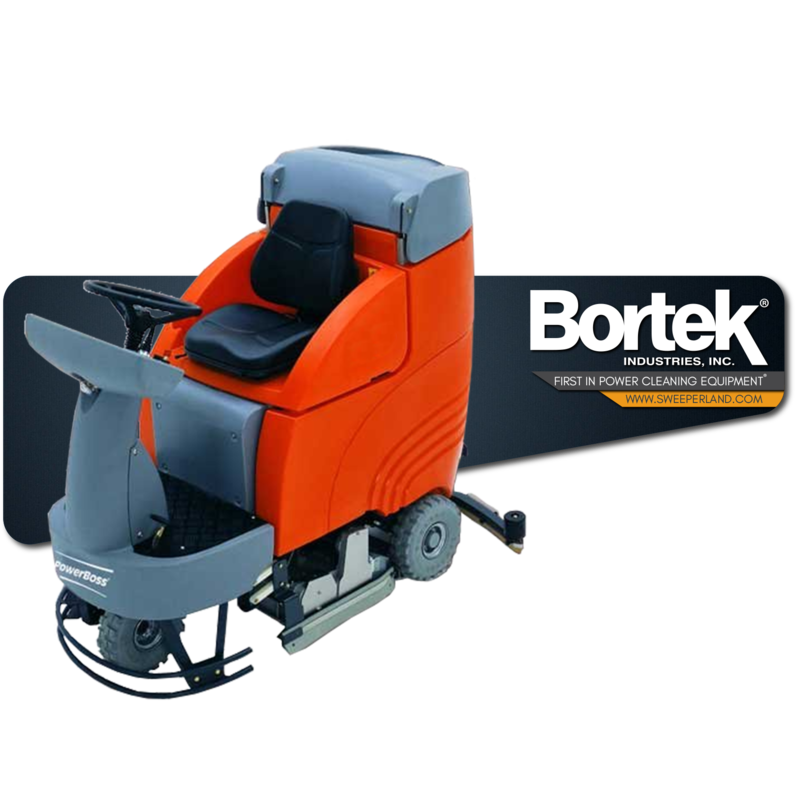 Clean both large areas and tight spaces easily with a floor scrubber designed for greater efficiency and less environmental impact. 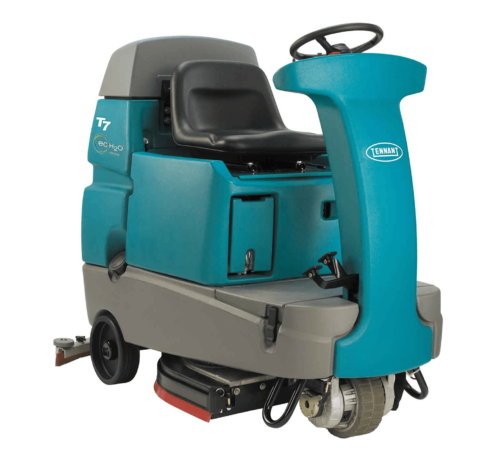 The T7 Micro-Rider Floor Scrubber uses innovative Tennant technologies such as optional ec-H2O NanoClean® technology to reduce the amount of detergent and water needed. 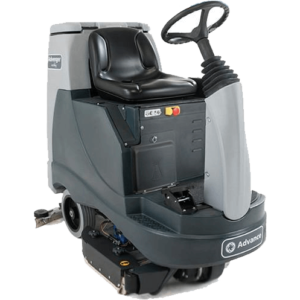 The Advance 2800D ST Disc rider-scrubber with EcoFlex™ System is cleaning at its best, giving you the power to deep clean and green clean, as well as everything in between. This machine offers the flexibility to run on any detergent, including green-certified cleaners; in addition, it can run with water-only. 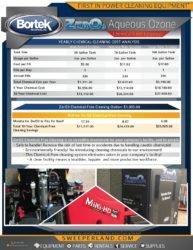 2800ST with EcoFlex System allows you to adjust scrubber performance to the job unlike other green automatic scrubbers that claim “one clean fits all”. 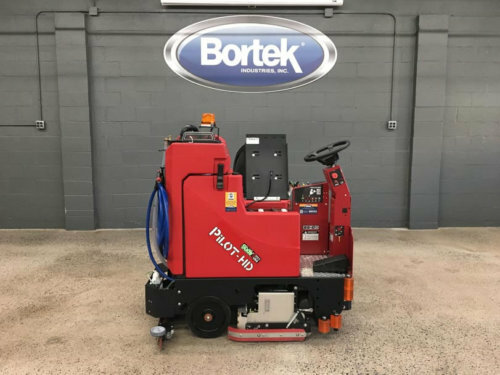 Offering the best of both worlds, this machine gives you the power to meet green cleaning standards and clean floors in one cleaning pass.